After the grand success of “ITSmart Expo 2017” They are planning 3rd edition of “ITSmart Expo 2018” on 15, 16, 17 December 2018 at Ahmedabad, Gujarat. 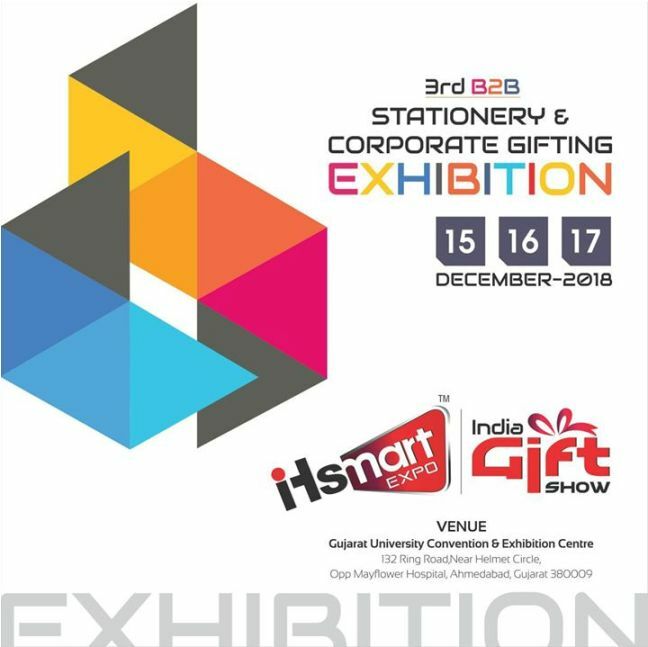 ITSmart Business Expo 2018 Ahmedabad is coming with Stationery, Corporate gifting, IT products, pens, diaries etc supplemented the diverse array of the stationery and gifting industry offering and proved that stationery and gifting is very much on trend. Venue: Gujarat University Exhibition and Convention Center, 132 Ft ring road Near Helmet Char Rasta, Ahmedabad, Gujarat India. ITS Mart Expo 2018 is the most important upcoming event on India’s calendar as a leading trade fair for IT, Stationery and Gifting Products. It is three days overflowing event with the latest products, innovations and development across the sector. This International Trade Fair for Retail Promotions and imports will give trade visitors the opportunity to visit event in December. We will promise that our valuable visitors will get optimum services and finest products from Exhibitors from all over India.